Selling your home is a big deal for most people. It isn’t a process that most folks go through very often. There are a lot of to consider when you decide to sell your home. Some of these things need to be handled if you want to sell quickly and for a good price. From picking the best real estate agent in Arlington to pricing your home correctly, you will want to do the right things in the right order. This will put you in a great spot to get the best outcome possible. How to sell a home for the first time is not something you should take lightly. It is easy to make mistakes without the proper guidance. Regardless of what condition the housing market happens to be in at the present time, just know that you can sell your home if you want to or need to. You can sell it, and you can sell it for a price similar to comparable homes provided that you work with the right agent and you take heed of their advice. Selling a home for the first time can sometimes be an unnerving mission because you may not have a lot of previous experience to rely on. 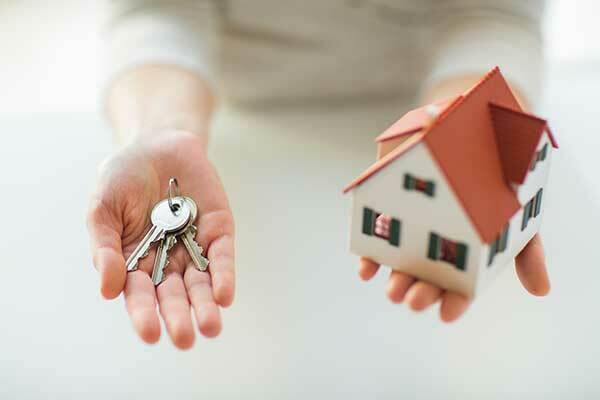 It is very easy to make mistakes as a first time home seller if you don’t have good guidance. Consider employing the following tips for first time home sellers and begin the journey to a successful sale! While it may be possible to sell your home without the help of an educated professional, doing so may not be in your best interest. There is a great deal on the line in a home sale, and too many complications can arise. A good Real Estate Agent in Arlington will handle all those pesky details and help you understand the options available. You can gather all the data you want about local real estate sales, but you will still lack the market experience or important connections to sell your home effectively and to avoid falling into some very costly traps. You will want to find an agent that has a track record of happy clientele. You want an agent with the ability to sell homes near the listing price. This demonstrates they have a good understanding of your local market. You may want to interview several Realtors before deciding on the right one for you. The agent you select will bear the responsibility for the outcome of your sale, so it is a good investment of your time to look around and be discerning. As you are aware, there is no shortage of real estate agents in the DFW area, but not all of them will have the time or temperament to make your home a priority. Do your homework and choose someone that will listen to you and assist you in accomplishing your sales goals. It is especially important to understand the distinction between a listing agent and a selling agent. These are two separate pieces of the real estate puzzle. Many agents do a wonderful job working with sellers and some agents are better suited to work with buyers. If you are selling your home for the first time, it is extremely important to work with someone who excels in working with sellers. A few agents are capable of doing both very well. Bear in mind that if your listing agent is preoccupied with a bevy of buyers for other homes, they will not have the necessary time to devote to getting your home sold. You should be working with an agent that possesses outstanding marketing skills. This is one of the vital traits to look for in a great listing agent. The vast majority of all buyers find their home online so you want an agent who has the skills and drive to make your home standout. Outstanding photography, detailed listing descriptions and some form of video marketing are all part of a top producing agents tool kit. There are a great deal of local real estate agents who don’t do many of these things! Check to make sure you know what you are getting with the agent you select. Selecting the right real estate agent and the setting the right price go hand in hand. Pricing a home properly is another learned skill the best agents will possess. All parties want to sell a property for the greatest possible price. But be warned; pricing a home too high will actually repel prospective buyers. And, should your home remain on the market for an extended time, it could develop a reputation and be seen as undesirable by most buyers. It takes more than to simply look at a neighboring house to see what it is on the market for. The neighboring home you looked at may or may not have been priced correctly. Always review multiple similar closed property sales as a basis for establishing the best asking price. It will be too late to correct the price a month or two later. By that time, you can expect to be low-balled at whatever price you set. Talk with your Realtor and commit to pricing your home appropriately within your local market. Do not select an agent based on the value they assign to your property. There are hundreds of agents who will be happy to give you an unrealistic market value for your house. This is the kind of agent you should avoid. Sometimes real estate agents may be tempted to inflate the real value of your home in order to get you to sign a contract with them. Make certain your curb appeal is on point. Correct all necessary repairs to any blatant defects like rotted siding or trim. Spruce up your yard by planting some flowers with color, pulling any weeds and adding some fresh mulch to beds. Steam clean the driveway if necessary. Clean your home from stem to stern. This is most cost effective improvements you can make that will make a real difference. Remove any pet or smoking odors. Paint all areas in need. Neutral colors work best. Correct any visible flaw that a buyer could bring up at a home inspection. Realistically, there will be times when a home owner won’t have the funds to do some of things mentioned above like replacing carpeting or re-finishing hardwood floors. If you have the money available, however, you will get a great return on your investment. These improvements can change the entire complexion of a home. Here are some other ways to make your home more appealing to prospective buyers. If a prospective buyer makes an offer on your home and you accept it, you will need to be prepared to move rapidly to relocate and get all your things out of your home. Sometimes it may seem like you have a lot of time, especially if you have not yet received any offers. But once the paperwork is finalized, you will have to need to get into gear and take care of your business as quickly as you can. You need to know where you are going before the sale closes. Moving is a time consuming and tiresome process all on its own. Be prepared for it. It’s sometimes hard to wrap your head around the concept of selling and buying a home at the same time. Some common mistakes are assuming another seller is going to allow you a “home sale contingency” that says something similar to “sale subject to successfully finding another home of choice”. These types of contingencies complicate the home selling process and make it far more difficult to achieve the goal of selling your home. In most markets owners are not going to accept a home sale contingency and maybe not even a right of first refusal. You should absolutely consult with your agent about this before listing your home for sale. There can be some additional costs related to selling your home. Some are negotiable with the buyer, and some costs that you may be expected to pay as the seller. First, remember that many of these costs can be negotiated. The perfect example of this is when you are selling your home and purchasing a new home with the same Realtor. Most Real Estate agents appreciate these kind of transactions! An astute agent will rarely decline the opportunity to make two sales. Any agent that is closed minded to this and says no to any kind of negotiation might not be the best agent to work with. It is in the best interest of all parties to seek a fair deal. Don’t be afraid to seek a middle ground between the offer that is presented to you and what you actually think is fair to pay. Second, make sure you understand every cost that will be coming your way. Have your real estate agent present you with a list of all costs and make sure you are prepared to pay them. Feel free to question anything you are uncertain about. Each real estate market is unique. So, what works in one Arlington subdivision may not work in another Grand Prairie subdivision. Simply because you see a home similar to yours in an adjacent city, that does not mean that your home will sell for a similar price. There are so many factors that go into real estate markets that it takes quite a bit of training and experience working in each market to have a clear understanding of what each normal range is. You should expect your real estate agent to be an expert on your local market. They should be able to tell you if you want to sell in spring, summer, fall or winter. Your agent should know what houses like yours are selling for. They should be able to help you compare your home to those other homes and arrive at the best listing price. The more your agent knows about your area, the better job he or she can do when selling your house. Selling a home is not rocket science but it is easy to make mistakes when you are not completely educated on the process. By following the above tips for selling a home for the first time, you will increase your odds for an enjoyable and profitable sale.